Near Field Communication Apps or NFC payment apps are getting more traction with enormous appreciation since the past few years. This innovative payment mechanism has garnered immense popularity in the Asian and European region. Also, it is now even expanding to the North America region. NFC payment encryption innovation turns your smartphone into a secure and convenient means of payment. It has transformed the way users received data, make installments, and share information across devices. Read on as this article highlights some of the most recent NFC apps, along with their benefits and their offered level of security. Apple Pay on the iPhone, Google Pay for Android and Samsung Pay are some of the favorite touch and pay apps. 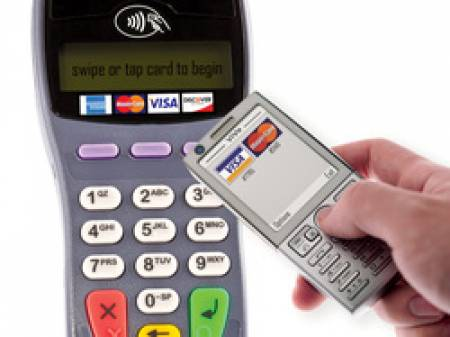 Payment methods such as MasterCard PayPass and Visa payWave allow customers to pay by just flashing their card in front of the POS terminal. Interestingly, paying with a contactless payment card takes an average of 12.5 seconds. It is almost three times faster than cash payment, with an average time of 33.7 seconds, according to First Data. NFC POS Solution Learn how we helped a client to leverage NFC based payments for their Android POS terminals. But, How Does NFC Work? NFC is short-range wireless communication technology. It allows the exchange of data between two remote devices up to about 10 cm. Major credit card networks, like Visa, MasterCard, and American Express, back it. Therefore, the payment works much like our credit and payment cards but with the use of the mobile device. To pay at the cash desk of any store, it would be enough to put the phone near the reader to record the payment. It is an extension of the RFID (Radio Frequency Identification) standard, which combines a smart card and a reader within a single device. Unlike QR-Codes and barcodes, RFID chips are not “read or decoded,” but real communication is engaged between devices. However, it is vital to ensure that the phone has built-in NFC technology and it is enabled for use (just as you activate your Bluetooth network). Introduced in 2014, the app is available for use on iPhone 6 and later versions (iPhone SE included), iPad (iPad mini 3 or iPad Air 2 and later) and Apple Watch that allows customers to pay “contactless” in-store. It uses the same validation system as your credit card, except the fact that it is on your device. The Touch ID function offers increased security. With its contactless payment app, Apple introduces tokenization – a first – that finally avoids the theft of credit card numbers. Further, with tokenization, the iPhone does not transmit the card number, but a token, which the merchant then communicates to card issuers. With this system, even if an attacker steals the token from the merchant’s payment system, they will not be able to obtain the card information that is safe from the card issuer. 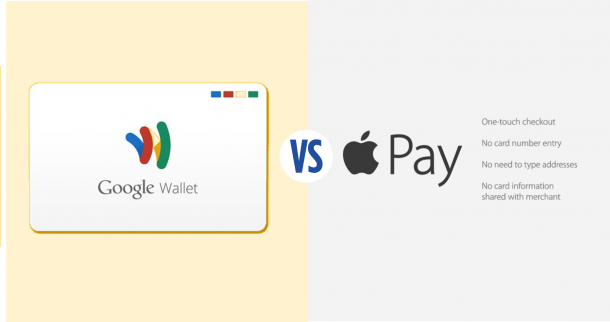 The counterpart of Apple Pay on Android is Google Pay. 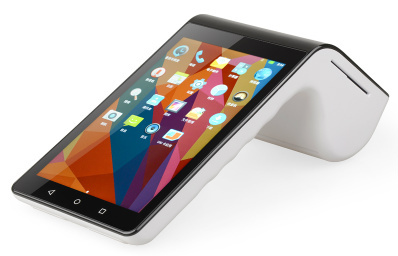 It is also the most secure and efficient way to make payments on Android smartphones. This popular NFC payment option is compatible with all Android devices from version 5.0 Lollipop and upwards. Further, it supersedes the Google Wallet. It also offers to store a dematerialized version of your loyalty cards, air tickets, and train tickets. Google Pay provides a list of the nearest stores accepting service, displaying recent payments or the ability to send or receive money. Thanks to the advanced level of encryption with a detailed verification process, the card data is always safe with Google Pay. A payment system from Samsung, it is designed specifically for Samsung Galaxy smartphones. Samsung Pay is one of the best NFC payment apps due to its ease of use and security features. It uses biometric sensors of smartphones like the iris scanner and the fingerprint reader, while all the transactions are encryption protected and with Samsung Knox. By combining the NFC with the MST technology, Samsung Pay manages to work even with POS that are not yet contactless-enabled. In addition to credit and debit cards, loyalty cards can also be stored on this application. Interestingly, according to a forecast by Berg Insight, the installed base of NFC-ready POS terminal units will increase to 112.3 million by 2022 globally. Learn more about how POS solutions help retailers to keep track of their sales, customer transactions, inventory management, and supply chain operations. Paypal Mobile is an NFC app developed by Paypal. It allows users to manage their money in a faster, and secure manner. Also, this is without the hassle of providing your bank details for each transaction. It works seamlessly for both Android and iOS. The free applications also enable sending cash to companions in the US and the rest of the world using your bank or PayPal balance. PayPal notifications allow seamless discovery of sent and spent money. By activating the “One Touch” function, the interaction from one site to another is accessible without having to re-enter the banking data or reconnect to the PayPal account. However, before activating this, make sure your smartphone, tablet, or computer is protected, and only you use it. Visa payWave is a convenient and secure payment technology that can read and receive your credit card information. This technology allows you to pay for your purchases quickly and securely at institutions that accept the Visa payWave card. This contactless payment app uses an integrated computer chip to send payment information to a secure point-of-sale reader. Visa contactless transactions are just as safe as transactions with magnetic tapes and get processed by the same reliable payment network. The control over the payment device lowers the fraud risk. PayPass technology is a payment feature included with MasterCard, at no additional cost. This NFC tap and pay option allow users to pay for purchases at merchants who have a PayPass terminal. The user card or smartphone is always with them, and electronic encryption is unique for every payment. It protects the data, reducing the risk of loss or theft of your card. Also, an automatic check ensures that there is no payment duplication with an accidental touch to the player. It concludes our comprehensive yet non-exhaustive list of dependable NFC mobile payment apps available in 2019. With the increasing use of contactless payment methods, it is necessary that businesses take into consideration of NFC for the developed applications. The inclusion of tap and pay apps allow organizations to offer an additional innovative payment option to the users of their business functionality. Further, it is high time to adapt to this trend that will help acquire adequate global coverage. Rishabh Software has the required proficiency with cross-platform app development teams. Our experts can seamlessly integrate the NFC payment solutions across platforms.